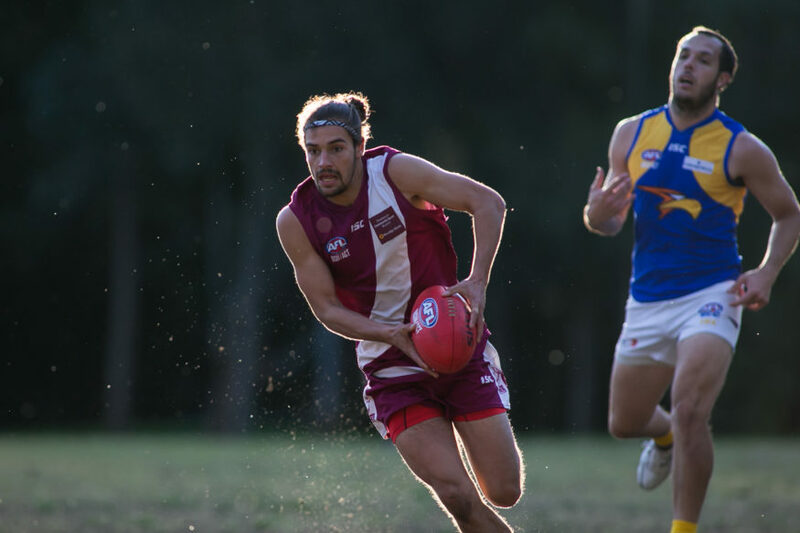 Manly Warringah Wolves vs. East Coast Eagles – Weldon Oval on Saturday, May 12, 2018. There’s something about Weldon Oval that suits Manly and makes the place a graveyard for visiting teams. 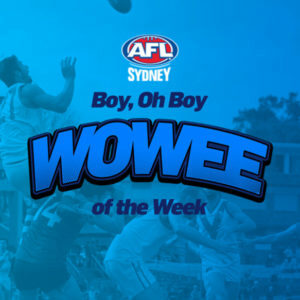 And the Wolves would claim another scalp at home as they knocked off the highly-fancied East Coast Eagles by 33 points. It was a low-scoring scrap in the first quarter, something the Wolves have always done well. The tackles were hard, the bumps even harder, and there weren’t many opportunities for players to weave individual magic against the close-checking of their opponents. The Wolves were looking the better side, and kicked two goals to one in a tight opening term to lead by seven points at quarter time. The first quarter had been tight, and the second was even tighter. 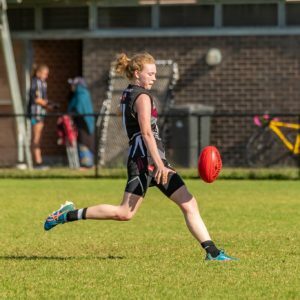 This was no term for the free-flowing runner, but the hard tackling player was in his element as both sides put numbers around the ball and there was no room to move in a quarter that resulted in frequent ball-ups and boundary throw-ins. 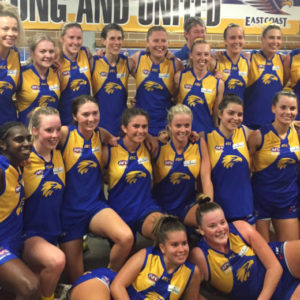 The Wolves were unable to find the big sticks during the second term, but the Eagles were twice able to draw the twin flags, and at half time the Eagles had a six-point lead. After so much tension in the first half, something had to break. And when it did, it was Manly who emerged from the bubble and found themselves in control of the contest. They wasted little time in hitting the front, and kept working the ball forward. The game had transformed from the scrap of the first half, but it was the Wolves who had made the transformation happen and they adapted far better to the more open football that was taking place, as they ran through five unanswered goals to lead by 26 points at three quarter time. The game was safely won, there was no way the Eagles were going to come back after that third quarter onslaught. But the Wolves weren’t finished yet, as they continued to assert their dominance in the final term. The quarter would yield three goals to two in favour of the home side. The Eagles salvaged a couple of goals from what had been a disappointing day but the Wolves were in control of the contest and gave their percentage a boost by winning the final quarter. 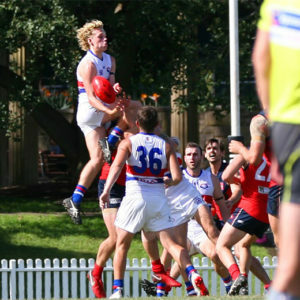 On a day when goals were at a premium, Anthony Robertson’s five goal haul earned him the title of best on ground, while Hayden Washington and Lachlan Kilpatrick also featured prominently. Undefeated at home, winless away so far this season. Fortress Weldon remains intact, but the challenge for the Wolves will be to get some wins on the road. Daniel Spiteri, Luke Mansour and Tom Zdrilic worked hard all day for the Eagles. But this loss, their second on the trot and the biggest so far this season, sees them with a 3-3 record. Their percentage keeps them in the top five, but well behind where they would have expected to be at this stage of the season.